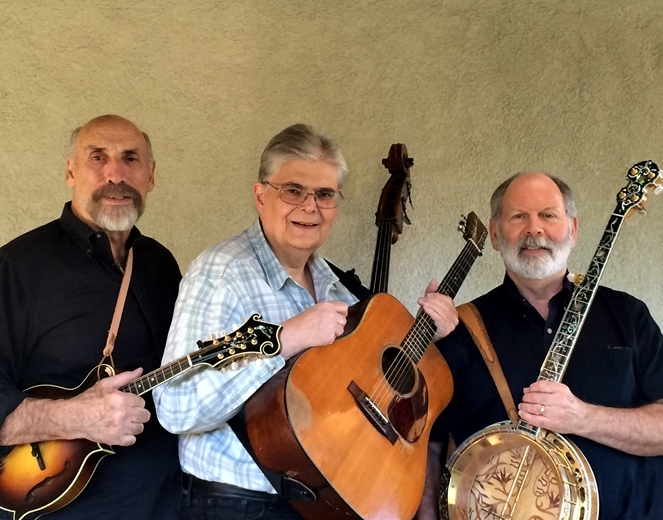 Witcher, Recupido & Levitt perform a very satisfying country tinged style of bluegrass music. This band evolved from the Witcher Brothers, who were long one of the mainstays of Southern California bluegrass. Appearances became less frequent as two of the Witcher sons struck out on their own, with young fiddler extraordinaire Gabe Witcher moving east and forming the Punch Brothers with Chris Thile, and Michael Witcher becoming a much in demand dobro player and instructor gone to the Bay area. The singing and songwriting nucleus of the Witcher Brothers, Dennis Witcher (mandolin) and Tony Recupido (guitar) had been wanting to perform together again and it was the addition of banjo player (and banjo luthier! ), Dan Levitt that got them out performing again with wonderful results! Another Witcher son, Loren performed with them over the last year, beginning with their fundraiser performance for our friend Pitt Kinsolving, but he recently has had to leave the band, so they will be joined by a new bass player. We are very proud to welcome these guys to our series and we hope to bring some of their old fans and lots of new ones together for a delightful evening of music. They don’t have a web site or new recording yet, but you can sample them at that fundraiser show at the Coffee Gallery below.